In yet another round of rumors about the next generation of the Apple iPhone, i.e. 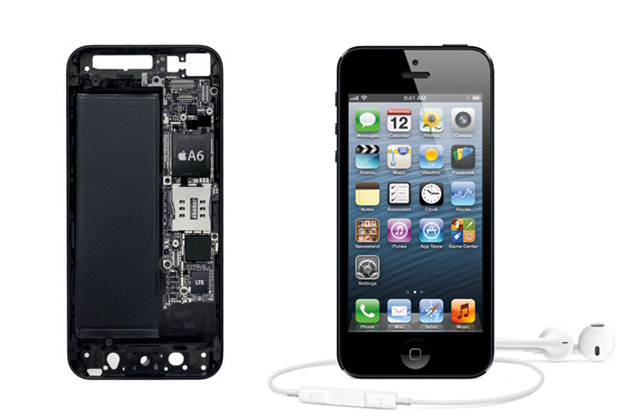 the iPhone 5S there is something more than what was being rumored around earlier. The recent rumors say that the Apple iPhone 5S is going to have the Apple A7 processor chip in itself, bettering the A6 chips present in the current latest iPhone, i.e. the iPhone 5. Though everyone recently had an eye on the curved glass display for the next iPhone, a few sources claim that Apple might come with the same 4-inch screen size as the iPhone 5 and would be having a flat display, and the curved one could be something for the coming future of the iPhone. This is the Apple iPhone 5S chip and the internal processor. The rumors claim that the same system setup would be present, but the chip would be an A7 one. The picture being shown by the DroidGator site shows that the next iPhone would be having the A7 chip, and that would specifically have the Quad-core processing unit clocking at 1.2GHz speed, while the RAM support would be of 2GB, along with a Power SGX554MP4 GPU. The next iPhone is supposedly going to come with the faster running Siri, and the Siri would support multiple languages. A few sources do claim that the iPhone 5S will ship with a 12-megapixel camera with improved low-light performance. The Wall Street Journal had reported that Foxconn, the company which manufacturers the Apple iPhone in China, has expanded and stepped up the hiring at the manufacturing plant in Zhengzhou. “We have been very busy recently as we will start mass-producing the new iPhone soon,” a Zhengzhou-based Foxconn executive with direct knowledge of production plans told WSJ. While we keep hearing something new about the rumored iPhone 5S, we are sure to get surprised by the maker very soon, when Apple would launch the next version of the iPhone, and only then we would be able to know whether it is going to be named Apple iPhone 5S or something else. Check out what we had been finding about the next iOS version, which is not going to come with some different name, but the standard Apple iOS 7, and the concept interface that we found through our sources looks quite brilliant, one would wish to have the same on their iPhone after the next iOS update.